Rick loves collective nouns. More to the point, he loves making them up. 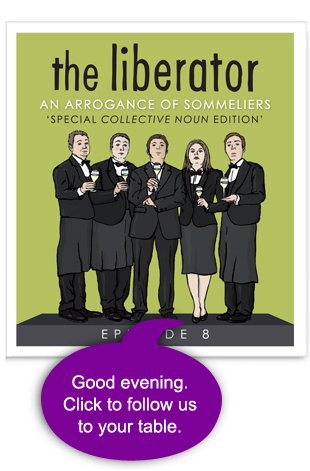 An Arrogance of Sommeliers just happens to be his current favourite. Not that this endears him to the som community, of course. He takes something of a perverse pleasure in teasing them at the table, challenging them to test his blind tasting skills. 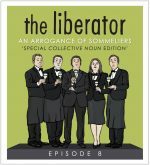 Note, however, the accompanying cartoon which takes its inspiration from one of Rick’s fellow Master of Wine colleagues, who appears to take a perverse pleasure in photographing every bottle of wine and even the most banal plates of food placed in front of him, only then to punish his ‘followers’ by publishing them on social media. It was the same said MW who needs to take responsibility for this latest release. 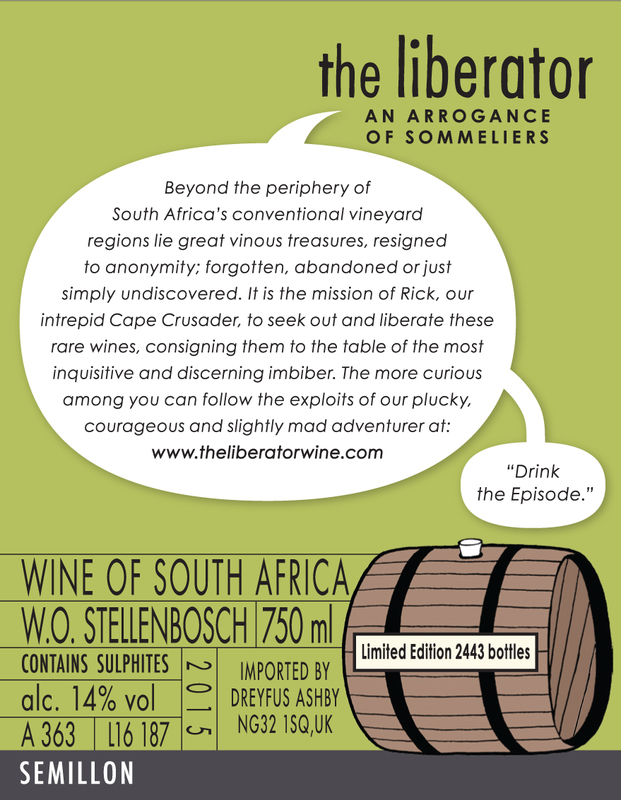 Thwarted at doing a small and exclusive re-run of ‘Episode Three – The Pie Chart’ for this well-known London-based South African specialist independent merchant, Rick simply knocked on the door of his old mate Andre van Rensberg, in order to recreate the original blend elsewhere. 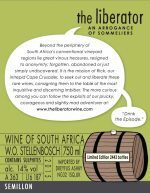 As it happened, the World’s Greatest Winemaker was just about to blend away a tank of Semillon; off-cuts from his renowned ‘Reserve’ and ‘GVB’ wines so, with a splash of his top Schaarpenberg Sauvignon Blanc 2016 to help it along its way, the assemblage was done and the deal signed off with a handshake. Easy. 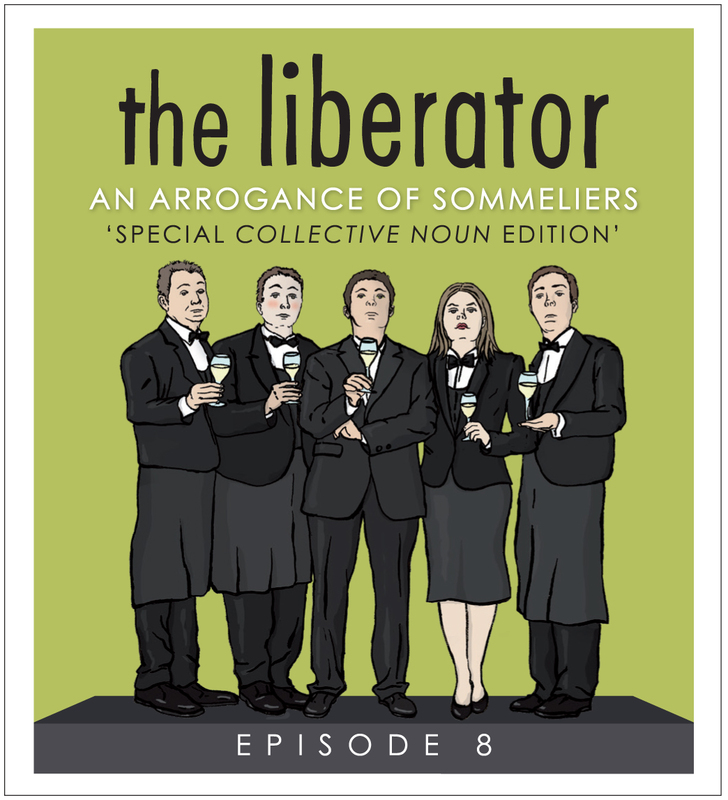 Limited to 2,443 bottles, this particular Episode can be expected to age in bottle for many years to come.